Origami is an urban residential community in the Piedmont neighborhood of north Portland. The project, ideally located along the popular Williams/Vancouver bicycle corridor, is a short walk from Peninsula Park, home to Portland’s first Rose Garden. The design concept is inspired by the process of origami, in which a single sheet of paper is folded to produce a more complex figure resulting in a play of light and shadows. A folded roofscape and façade provide a unique identity to each home while maintaining the overall sculptural quality of the project. Origami has three distinct floor plans with homes ranging from 1,083 to 1,888 SF. Eight of the townhomes feature landscaped private garden rooms that harken back to a classic European courtyard plan. 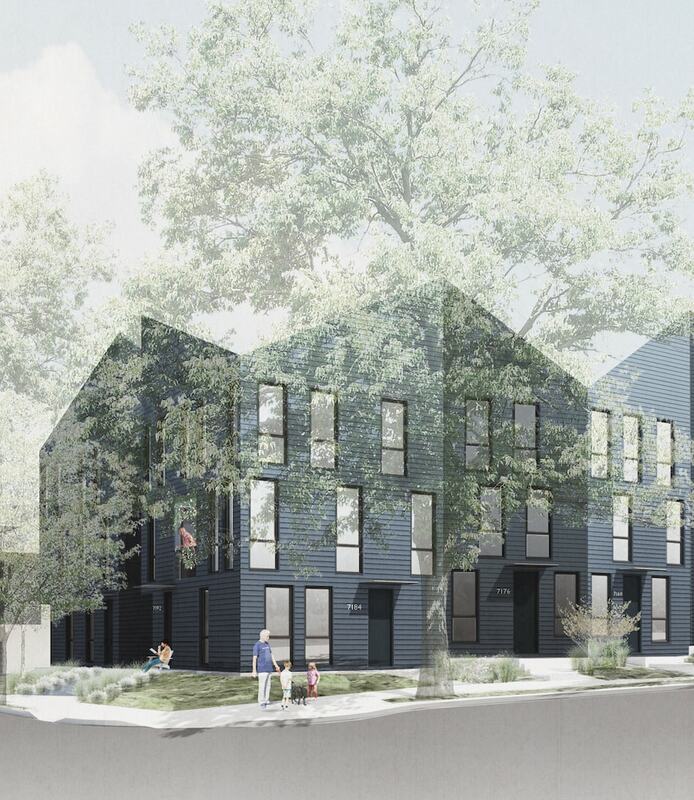 The corners of the project feature two townhomes with Accessory Dwelling Units (ADU) for added density and value and two light-filled single-family homes.